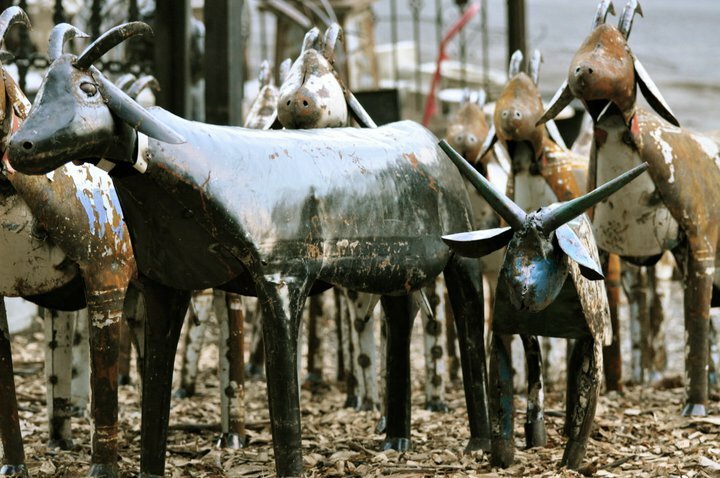 Use one of these special Mexican Folk Art Goats as a way to find interesting elements to draw people into your garden and guide them toward its special features. 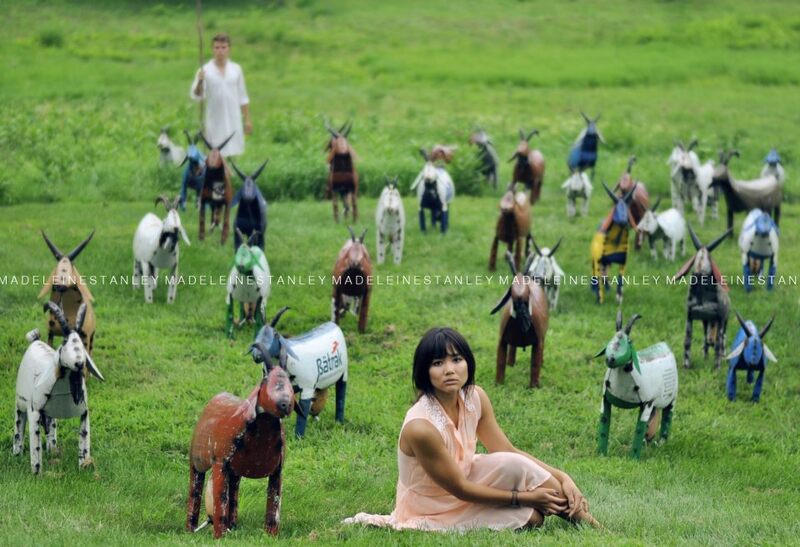 The goats are made of recycled sheet metal and each have their own character. Group several in a grassy field to reinforce a pastoral scene, or place one to accentuate the entrance and greet visitors. You can introduce an element of surprise to the garden by revealing the goat at the end of a path, or to animate a private retreat. 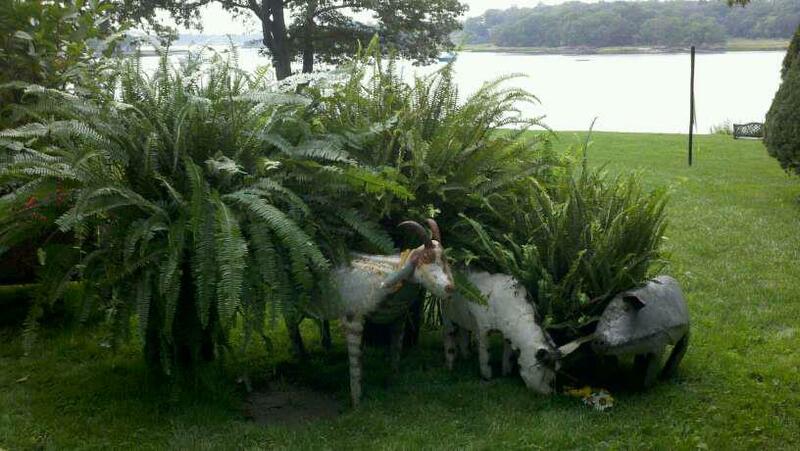 For the animal lover, these goats offer some of the pleasures of the real thing! 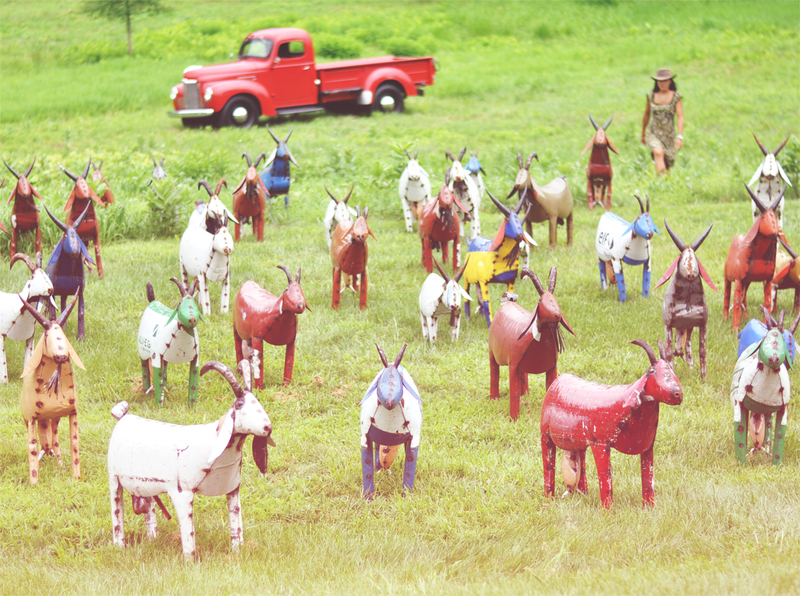 Contact Marvin Gardens for more information about bringing one of these goats or other metal animals home with you! Colorful succulent arrangements can provide long-lasting, rich color and add interesting texture to your table or patio whether for a special occasion or for everyday entertaining. These understated, intricate, and enduring plants add sophistication to create breathtakingly beautiful wedding bouquets or exquisite reception centerpieces at the most memorable events. 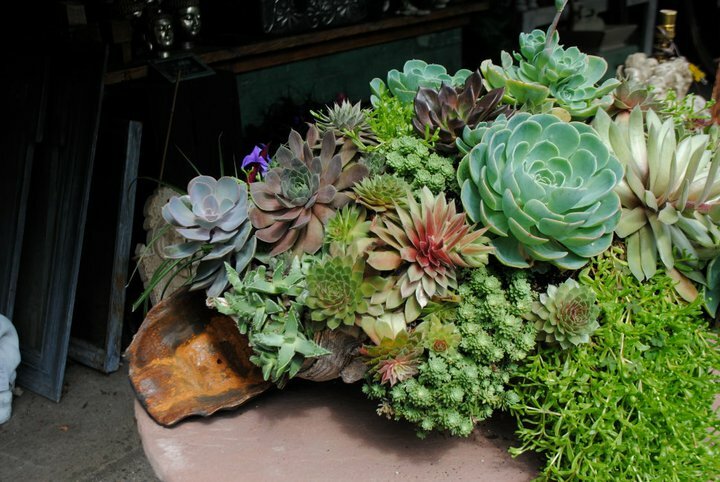 Fun and beautiful succulent arrangements can be made using green-hued and fleshly, thick-leaved plants, like kalanchoe or crassula (including Jade plants) accented with the interesting forms or textures of Kalanchoe thyrsiflora (commonly called flapjacks) and Echeverias, which come in many colors. 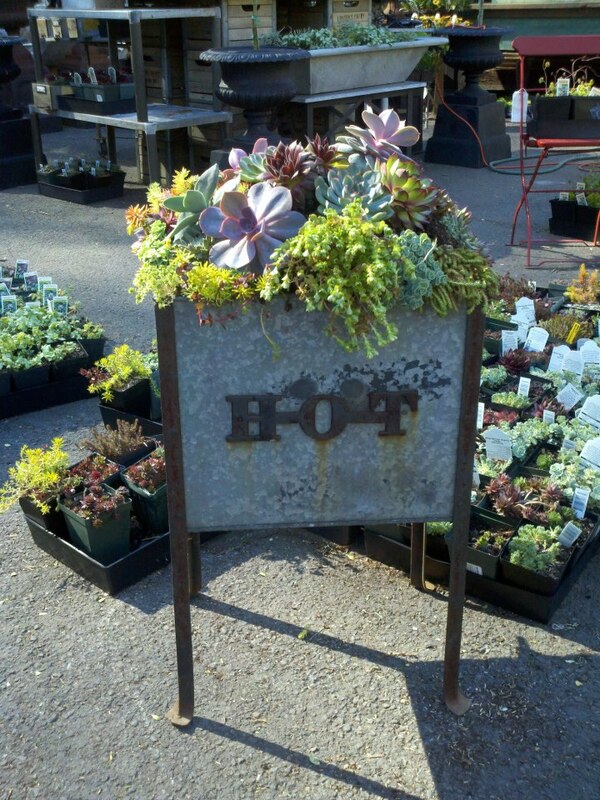 At Marvin Gardens, we enjoy creating interesting and unusual succulent arrangements for indoor and outdoor use. 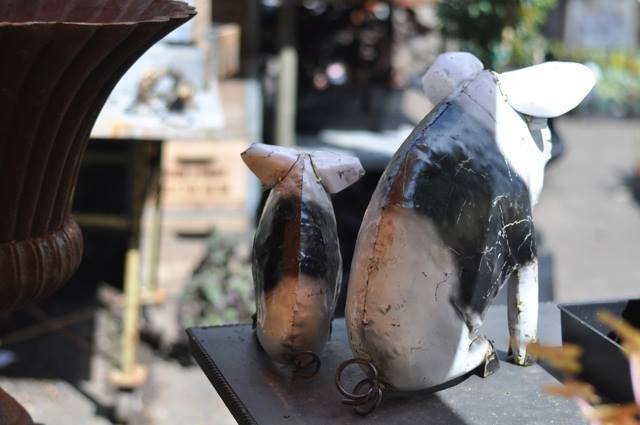 Our one-of-a-kind creations can add a quirky ambiance to a fun outdoor space or they can be arranged as elegant centerpieces that allow conversation to flow intimately across a dinner table. 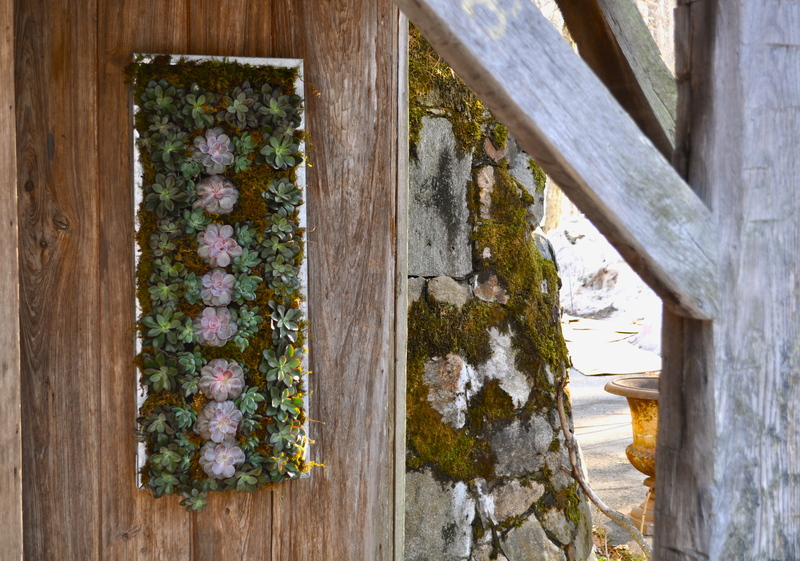 We have also found that succulent displays can be used throughout your home to add a lushness in unexpected ways, such as along a garden wall, or tucked into an alcove, and not just as centerpieces or bouquets. Best of all, with minimal care and virtually no watering, you can expect these arrangements to last year round! If you like the look of succulents, come visit Marvin Gardens, where we will help you create the right annual or perennial succulent arrangement for every occasion. Though summers in New England are beautiful, gardening successfully throughout the four seasons has its challenges. If you are ready to take the next step, a small greenhouse will allow you the flexibility and freedom to garden year round. When designing an outdoor space, a greenhouse design is available for any size space. People have come up with extremely creative greenhouse designs that blend nicely into current landscapes. However, even a small greenhouse can provide you with the means for successful greenhouse gardening. There are many advantages to using a greenhouse in your garden. By growing fresh vegetables and herbs in seasons other than summer, you can save on grocery expenses. No season gardening means that you control when you want to start or grow plants. In a greenhouse, you can start some plants ahead of time, delay plantings, or even grow plants not normally grown in your area, such as tropical plants. You can consistently count on good weather in a greenhouse environment. There are no issues with wind, drought, or frost, all things that can damage young plants. Also, a greenhouse serves as good protection against outdoor pests. Come visit Marvin Gardens and see how we can help you find garden tools, accessories, and decorations to make your garden beautiful, healthy, and easy to care for. When planning a garden for your New England home, the sheer variety of options for different plants, decor, and hardscaping available to you can be very overwhelming. One thing that can help you come up with a garden plan is choosing a theme, and a very popular theme is the Japanese style garden. This particular type of garden design creates a stylized landscape that captures the peaceful essence of nature. Japanese gardens make use of carefully arranged rocks, bushes, trees, water features, and gravel or sand raked to give the appearance of water ripples. Traditionally a Japanese garden design was such that it could be viewed from a special place, such as your porch or patio. The traditions of garden design are taken seriously; the Chinese brought gardening to Japan, and it is only appropriate to honor that history with a piece in your own garden, such as this Chinese-inspired statue. Tea gardens are primarily designed to create a harmonious atmosphere, using rustic materials, low doors, and a calming, winding path. There is typically an outer garden that encloses guests for a tea ceremony and a small inner garden that you can look at and contemplate. Lanterns and water features are great additions to this type of garden. For a low-maintenance Japanese-inspired garden, go with the natural style that uses flat stones instead of bridges over water features and doesn’t include man-made elements like lanterns. Strolling pond gardens revolve around a central pond and a wandering path, including benches and sculptures and even bridges. These gardens are great for quiet contemplation or romantic evenings. Marvin Gardens is well-equipped to help you with your Japanese inspired garden. 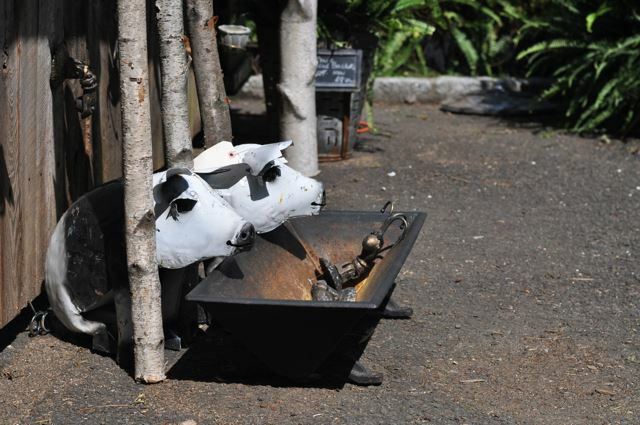 Visit us to see our collection of garden design accessories to inspire your own design. If you are looking for a Mother’s Day gift that will give your mom joy, Marvin Gardens can help you and save you a little money at the same time. 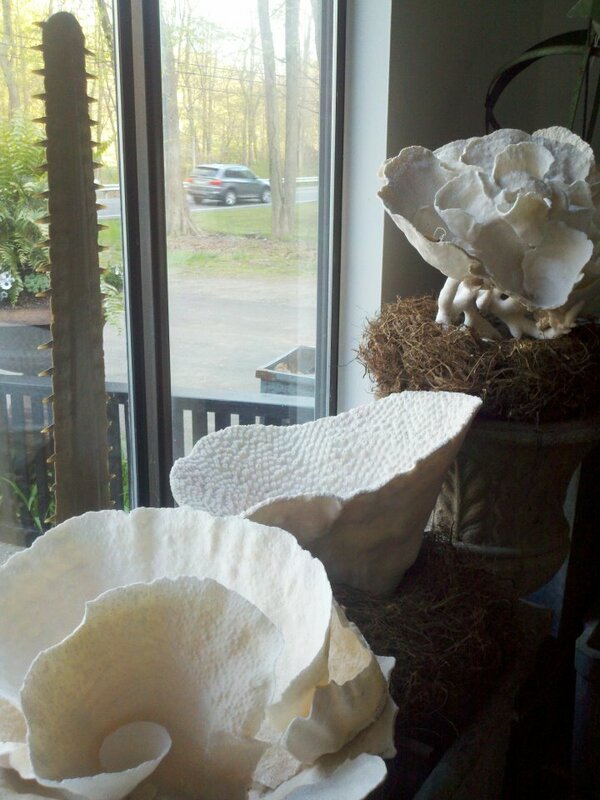 Mention this blog post at checkout and receive 10% off select perennials between now and Mother’s Day! Perennials make great gifts as they will continue to bloom year after year. They’ll even come back each spring right around Mother’s Day – it’s like the gift that keeps on giving! If mom is in the process of planning her garden for the season, know that perennials will make an awesome addition to her outdoor space. Why? There’s a wide variety of perennials out there, each of which bloom in different ways and at different times. By picking perennials that flower at different times throughout the year you can give the gift of flowers all growing season. Perennials such as irises grow bigger year to year, the ability to dig them up and separate them means a gift that keeps on giving. Some perennials have attractive foliage so even when not fully bloomed, they’re still absolutely beautiful! Mom doesn’t need a large space for a garden. Some perennials can even flourish in pots. Come on in and visit us at our new Marvin Gardens location. We can help you pick the perfect perennial for your mom.